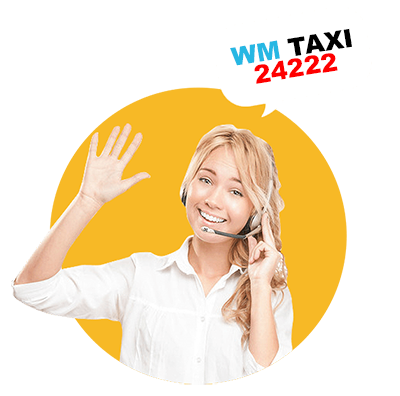 WM Taxi Schladming is your reliable partner for taxi service, airport transfer, hiking transfer, sightseeing excursions and medical transportation services. Our local drivers have the best local knowledge. With our modern Mercedes-Vito vehicles, we bring you safely and on time to your desired destination. All taxis are fully equipped and offer ample space for up to 8 persons including luggage, practical accessoires, high-quality children’s seats and ski carriers during the winter season. We will take you to Sonnenalm in Ramsau, the thermal baths of Amade in Altenmarkt, the nightdrops and night skiers in Schladming, as well as the two World Cup ski resorts Flachau and Altenmarkt, which are part of the Ski Amade Ski Association. In the summer we offer trips to the zipline at the Stoderzinken, to the glacier skiing on the Dachstein, to the excursion destination Ursprungalm as well as to further excursions and hiking trips. 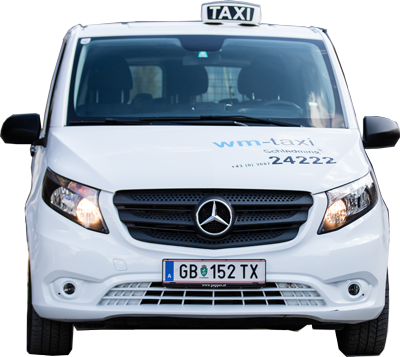 WM Taxi was founded in Schladming on the occasion of the World Ski Championships in 2013. Our taxi center is located in the center of Schladming in Ramsauerstraße 756. We will take you to the most beautiful hiking areas in the Schladming-Dachstein region! We will show you the most beautiful sights in Styria, Salzburg & Carinthia! We offer you a reliable and guaranteed on time airport transfer to all surrounding airports! Here you can easily and comfortably order your taxi, your airport transfer, your sightseeing tour or your sick transport in advance or without any obligation. We will send you a confirmation / quotation as soon as possible.